Restore your skin’s natural radiance with Sarah Chapman Platinum Stem Cell Elixir, a transformative anti-ageing serum bursting with active ingredients. Senestem™ and Majestem™, a pair of plant stem cells, work together to strengthen and densify thinning skin whilst firming the complexion and reducing the appearance of sagging. A Platinum Matrix-EM delivery system combines precious platinum metal with collagen-boosting peptides to smooth out fine lines and wrinkles, improve elasticity and redefine the facial contours for visibly younger-looking results. 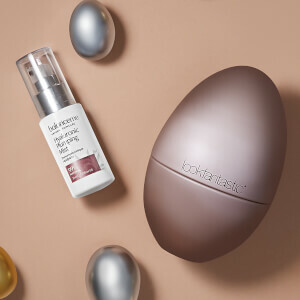 Melting effortlessly into the skin through its airless pump bottle, the serum helps to reveal a plumped, brightened and more youthful complexion. Aplicar una o dos dosis en el rostro, cuello y pecho todas las mañanas y noches para combatir los signos del envejecimiento. A continuación, aplicar la crema hidratante. Evitar el contacto con los ojos. Si se sienten molestias, aclarar con agua templada. Solo para uso externo.